Copyright: © 2015 Rogers MJ, et al. This is an open-access article distributed under the terms of the Creative Commons Attribution License, which permits unrestricted use, distribution, and reproduction in any medium, provided the original author and source are credited. Background: Diet and dental hygiene are major factors in the progression of dental caries. Rural areas face added complications to keep oral health a priority. Our goal is to investigate the condition of preschool children’s teeth in our regional/rural area as a guide to the success or failure of oral health messages reaching our remote regions. Methods: Barwon Health and Colac Area Health provide oral health services to the Greater Geelong, Surfcoast Shire and Colac-Otway Shire in South-West Victoria. In 2013 an outreach program commenced promoting oral health education and dental screening to sixty kindergartens in this regional/rural area. Oral Health Therapists conducted on site dental screenings using the ICDAS recording system. Results: The first visit by oral health therapists to children at kindergartens in 2013 (participation rate 66%) or 2014 (participation rate 71%) was analysed (n=4,383) to give a cross-section of oral health for 3-4 yr olds in the region. The overall prevalence of caries free teeth was 53.4%. The Odds Ratio for caries free teeth was reduced for postcodes linked to disadvantaged areas compared to central Geelong. There was no difference between girls having caries free teeth with 54.6% compared to 52.2% of boys (p=0.12). Of the children who received help brushing their teeth, 50.4% had caries free teeth compared to 38.6% of those who did not receive help (p<0.01). Conclusion: We have identified a major health issue that is occurring prior to school age. While Kindergarten and Day Care Centres would be ideal links for oral health education programs and preventative measures, children supported by an adult with their dental care were more likely to have avoided decay. It might be assumed that dental decay is a modern disease. Teeth studied from different periods of man’s history including those from 130,000 years ago, 1st century, 10th century and 20th century reported that the number of decayed teeth was 0%, 2%, 3% and 12% respectively . In a study of Neolithic man (10,200 BC) in northern China carious lesions were reported in 6%, of teeth, however, the proportion of individuals with at least one carious tooth was 42% . A study of caries in a more recent population (10th-15th centuries) in rural southwest France found the prevalence of caries as high as 17% .The rise in agriculture is often blamed for the increase in cavities due to widespread fermentable carbohydrates and bacteria that destroy tooth enamel . Toothpaste has evolved over the centuries from mixtures of egg shells and ash to current day toothpastes that can consist of more than ten ingredients . Dental caries in children from the 1970s to the 1990s decreased in the USA . However, from the 1990s until present day the incidence of dental caries has increased. Fluoride toothpaste was introduced in the 1970s and may well have been responsible for better oral health  but the consumption of bottled water and sugar dense foods has had reversed the trend. The National Health and Nutrition Examination Survey of the USA reported that 72% of children aged 2 to 5yrs were caries free . A 2012 survey of five year old children in the UK found 72% were free from visually obvious dental decay . The New South Wales (Australia) survey of child dental health in 2007 reported that 60% of school age (5-6yr) children had no decay . Increased caries was found in the lowest socioeconomic groups and in remote areas. Diet and dental hygiene are major factors in the progression of dental caries. Early childhood caries is associated with nonfluoridated water, consumption of sugar dense foods, poor dental hygiene and irregular dental check-ups . Unassisted tooth brushing in young children up to 6 years of age has been identified as a risk factor for caries development . Fluoride has been used in the fight against decay as early as 1953 in Beaconsfield, Australia. Caries have been reported to be significantly higher in non-fluoridated areas [12,13]. In Australia approximately 80% of water supplies are fluoridated . Rural areas face added complications to keep oral health a priority. In the Barwon region in South-West Victoria, patients can travel up to 100 km to the nearest dental clinic. Availability and affordability of dental services for people living in regional/rural regions requires a long term plan. Incentives to lure the oral health therapists to these settings and an active outreach program is necessary for hard to reach groups. Financial difficulties, time away from work or school, distance to travel all make visiting the dentist in rural areas, not easy. Our goal is to investigate the condition of preschool children’s teeth in our regional/rural area as a guide to the success or failure of oral health messages and dental services reaching our remote regions. Barwon Health and Colac Area Health provide oral health services to the Greater Geelong (population 221, 515: area 1,247 km2), Surfcoast Shire (population 25,870: area 1,560 km2) and Colac-Otway Shire (population 20,345: area 3,433 km2) in South-West Victoria. In 2013 an outreach program, Kinder Wide Smiles commenced that promoted oral health education and dental screening to sixty kindergartens in the region . Kindergartens were invited to participate in the dental screening program and all students were issued individual consent forms. Informed consent was obtained from parents or guardians for participation and the individual assent of children was considered. 06. Extensive distinct cavity with visible dentine . Fillings or crowns were recorded along with sealed surfaces, exfoliated or extracted teeth and hypomineralization. All clinicians involved with the Kinder Wide Smiles project undertook an ICDAS training program. Over 50 images ranging from ICDAS scores 0-6 were used to assess all clinicians within the group and promote discussion between difficult cases. Clinicians were calibrated in a closed group environment to ensure consistency amongst the group. The group scored high reliability and validity. No decay was classified as a child with all of their deciduous teeth scored as “00” for all erupted tooth surfaces. Children requiring comprehensive examination in the clinical setting were provided with a referral and followed up by project staff members. Verbal questionnaires were conducted with each consenting child regarding tooth brushing habits All results were recorded on individual paper charts and later transferred into Microsoft Access Database and Dental Recording Software, Titanium. For this study the first visit by each child in 2013 (participation rate 66%) or 2014 (participation rate 71%) will be analysed (n=4,383) to give a cross-section of oral health for 3-4yr olds in the region. Prevalence of no decay was investigated by postcode, gender, socio-economic level and self-reported tooth brushing habits. The postcode of each kindergarten was linked to a socio-economic index for areas (SEIFA) scale using the Australian ranking. These scales included The Index of Relative Socio-Economic Disadvantage (IRSD), The Index of Relative Socio-Economic Advantage and Disadvantage (IRSAD), The Index of Education and Occupation (IEO) and The Index of Economic Resources (IER). The lower scores on a scale are associated with more disadvantaged areas. This assignment makes the assumption that children attending a specific Kindergarten comes from a family with a similarl socioeconomic status defined by the area/level in which the Kindergarten is located. 4,383 children were screened in kindergartens across the regions of Camperdown (n=1 kindergarten), Colac (n=11 kindergartens), Geelong (n=42 kindergartens) and Surfcoast (n=8 kindergartens). The total population of 3-4 year olds in the region is 6,644 therefore 66% of all 3-4 year olds have been screened by the kindergarten outreach program. The overall prevalence of caries free teeth was 53.4%. The proportion varied across postcodes from 41.6% to 67.3% (Table 1). The Odds Ratio for caries free teeth was reduced for postcodes linked to disadvantaged (3214) areas compared to Geelong Central (3220). The Odds Ratio for no decay was increased for many postcode areas compared to Geelong Central. The proportion within the region of Camperdown (52.8%), Colac (55.0%), Geelong (53.1%) and Surfcoast (53.8%) was not significantly different (p=0.86). There was no difference between girls having caries free teeth with 54.6% compared to 52.2% of boys (p=0.12). The Odds Ratio for caries free teeth was decreased for disadvantaged SEIFA codes (Codes 1-2) (Table 2 and Figure 1) (p<0.05). Table 1: Prevalence of caries free teeth in pre-school aged children by postcode of kindergarten. Occupation (IEO). Disadvantage begins at a level of 1 and increases to advantage at level 10. Figure 1: Proportion of children with caries free teeth by socio-economic indexes for areas (SEIFA): The Index of Relative Socio-Economic Advantage and Disadvantage (IRSAD), The Index of Relative Socio-Economic Disadvantage (IRSD), The Index of Economic Resources (IER) and The Index of Education and Occupation (IEO). In 2014, it was recorded whether the children had brushed their teeth today and whether they received help from an adult when brushing their teeth. Of the children that responded 1,948 (99.4%) said that they had brushed their teeth that day. Of the 1,239 children who received help brushing their teeth, 50.4% had caries free teeth compared to 38.6% of those who did not receive help (p<0.01). Our study identified 53% of children aged 3-4yr with caries free teeth. Therefore 47% have experienced caries at some level at this young age. The incidence of decay was significantly higher for the disadvantaged areas of our region. Children supported by an adult with their dental care were more likely to have avoided decay. Studies in the UK and USA of a similar age have reported approximately 70% cavity free [6-8]. A report by the Australian Institute of Health and Welfare on children aged 5-6 years discovered nearly half had a history of dental decay in the deciduous teeth . The AIHW study reports on children visiting the school dental services, however, data from Victoria was not available. Our study has found that this high rate of caries is present prior to school age. Why is oral disease still a major global problem? A common theme in oral health reports is that sugar is the new tobacco . Dependence on sugar might be replacing or supporting other addictive behaviours. Do we need our young to reeducate their parents? To implement oral disease prevention programmes, health services and education department partnerships need to be strengthened. Minimal Intervention Dentistry (MID)  is a 'holistic' approach in dental treatments and techniques that focuses on oral health care management through individualized care plans that encourages patient/parent/guardian control. MID includes early diagnosis, caries risk assessment, early detection of mineral loss, non-surgical treatment and preservation of the tooth structure. MID is a strategy to arrest early lesions and to enhance caries primary prevention. MID techniques encourage non-surgical dental treatment including application of topical fluoride. Nearly all of the towns in this study had access to fluoridated water supplies. Findings of this study are limited as no baseline measurements of fluoride intake were taken prior to conducting the dental screenings. We have identified a major health issue that is occurring prior to school age. Early childhood caries not only causes pain, it also impacts the children's ability to eat, play and sleep . Oral health status is an important element of overall health and wellbeing. Kindergarten and Day Care Centres would be ideal links for oral health education programs. Reinforcing these education programs in early secondary school might take the message through to early adulthood. Responsible behaviour, education and taking action seem to be the key messages to a preventative approach. Young children do not have the ability to brush their teeth effectively and assistance is important. Techniques such as lap to lap where a child is laid between knees of two adults allows for easy brushing. The teeth should be brushed gently using small circular motions with a soft brush and toothpaste appropriate to the age of the child. We acknowledge that within this report we have described pit and fissure caries free teeth as caries free. Without x-ray reports we cannot conclusively say that they are caries free and we therefore may have underestimated the incidence of true caries. The dental screening conducted does not involve a comprehensive oral examination and therefore findings reported must be considered in light of this. This study reported that the simple deliberate practice of assisting children with brushing their teeth reduced the number of children with caries significantly. Preventative messages should focus on reinforcing this simple brushing practice. This study also highlighted the correlations that exist between an individual’s socio-economic status and incidence of dental caries. Early childhood settings such as kindergartens provide an opportunity to implement a MID philosophy. We would like to acknowledge Colgate for supplying tooth brushes and toothpaste at reduced cost for every child enrolled in this study. Topic B, Rascic-Konjhodzic H, CizekSajko M (2012) Periodontal disease and dental caries from Krapina Neanderthal to contemporary man - skeletal studies. Acta Med Acad 41: 119-130. Meng Y, Zhang HQ, Pan F, He ZD, Shao JL, et al. (2011) Prevalence of dental caries and tooth wear in a Neolithic population (6700-5600 years BP) from northern China. Arch Oral Biol 56: 1424-1435. Esclassan R, Astie F, Sevin A, Donat R, Lucas S, et al. (2008) [Study of the prevalence and distribution of dental caries in a medieval population in Southwest France]. Rev StomatolChirMaxillofac 109: 28-35. Lippert F (2013) An introduction to toothpaste – its purpose, history and ingredients. Monogr Oral Sci. 23: 1-14. NIH: National Institute of Dental and Craniofacial Research. 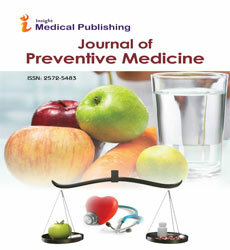 Pizzo G, Piscopo MR, Pizzo I, Giuliana G (2007) Community water fluoridation and caries prevention: a critical review. Clin Oral Investig 11: 189-193. Ghazal T, Levy SM, Childers NK, BroffittB,Cutter GR, et al. (2015) Factors associated with early childhood caries incidence among high caries-risk children.Community Dent Oral Epidemiol 43: 366-374. Harris R, Nicoll AD, Adair PM, Pine CM (2004) Risk factors for dental caries in young children: a systematic review of the literature.Community Dent Health 21: 71-85. Slade GD, Spencer AJ, Davies MJ, Stewart JF (1996) Caries experience among children in fluoridated Townsville and unfluoridatedBrisbane.Aust N Z J Public Health 20: 623-629. Cheng KK, Chalmers I, Sheldon TA (2007) Adding fluoride to water supplies.BMJ 335: 699-702. Northern Territory Government (2015) Water fluoridation and disinfection information for healthprofessionals and community organisations. Mason A, Mayze L, Pawlak J, Henry MJ, Sharp S, et al. A preventative approach to oral health for children in a regional/rural community in south-west Victoria. Dentistry 5: 1-6.
International Caries Detection and Assessment System (ICDAS) Coordinating Committee 2005. Rationale and evidence for the international caries detection and assessment system (ICDAS II): International Caries Detection and Assessment System (ICDASII Workshop) Baltimore, Md, USA. Australian Institute of health and Welfare (2011) AIHW Dental statistics and Research Unit Research Report , July. Le Bodo Y, Paquette MC,VallièresM,Almeras N (2015) Is Sugar the new Tobacco? Insights from Laboratory Studies, Consumer Surveys and Public Health.CurrObes Rep 4: 111-121. Haynes S (2013) A perspective from the dental industry on minimum intervention dentistry.Aust Dent J 58 Suppl 1: 66-69. Hallett KB, O'Rourke PK (2002) Dental caries experience of preschool children from the North Brisbane region.Aust Dent J 47: 331-338.